It’s a lot of stitching in the ditch in and around the blocks, along the sashing and borders, and then a simple design in the wide border that did not require free-motion stitching. I was not quite ready to drop the feed dogs. Now all that remains is the binding. I wanted to get it started today but it turned out to be a great day for cleaning and continued unpacking. Maybe by the end of next week. Maybe. 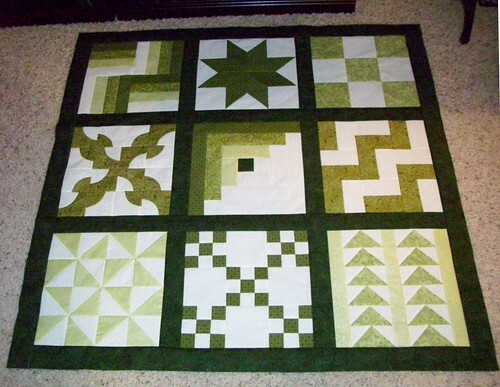 I really like the quilting pattern you chose for the wide border. The quilt has a whole is really pretty. Very nice, Alexandra. 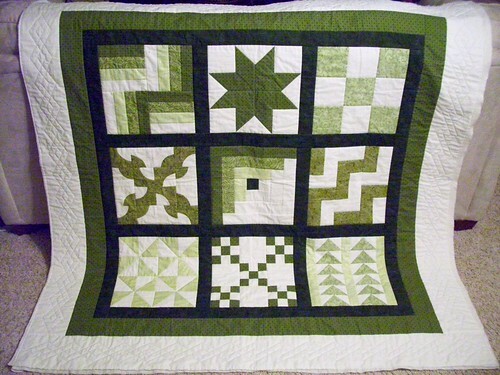 I’m enjoying your forays into quilting.